Done any winter checks on your caravan or motorhome? 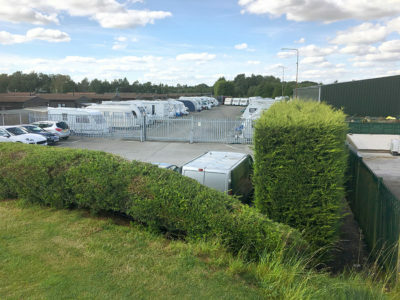 Many caravan and motorhome owners will have laid up their vehicles for winter a few months ago, particularly if they’ve not planned any touring holidays during the colder season. But it won’t be long before you’ll be starting to think about the touring season ahead and planning those fantastic trips away! In this month’s community poll we’d like to know if you’ve kept an eye on your caravan or motorhome this winter when it’s not been in use? Maybe you’ve carried out a few winter checks, such as checking for signs of damp or making sure there’s been no unwelcome visitors, like vermin or thieves! Or if you keep your vehicle in storage do you pay a visit after there’s been a spate of bad weather just to check everything’s okay? Let us know if you’ve made any winter checks by voting in our poll today, and as always share any stories in the comments box below. Thanks Richard – some good advice. with radiator foil to keep out sunlight. This also stops the fabrics from fading.